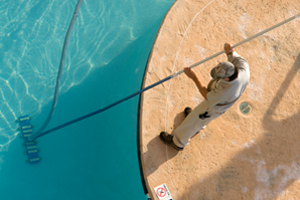 Like any room in your house, your pool will need periodic attention to keep it looking great. There are many options available for any pool to keep your maintenance to a minimum such as filter and skimming systems, automatic pool cleaners and water sanitation options. The good news is that with the latest advancements in technology, a pool has never been easier to maintain. Your pool should require no more than 1 hour per week to maintain, leaving the other 167 hours for fun and enjoyment! Standard procedures for opening and closing pools are a snap if you want to spend the time to do it yourself. Spring's Pools & Spas also has maintenance packages and can do this for you to keep your time investment to a minimum. Additional considerations that should periodically be checked include the following list of items – click and get more detailed explanations of guidelines, recommendations, and solutions so you can relax and enjoy your dream pool!